The iPhone Dev-Team has released an updated command line utility that can perform a jailbreak of the iPhone 4S and iPad 2 using Windows. Version 0.4.3 adds support for Windows users. 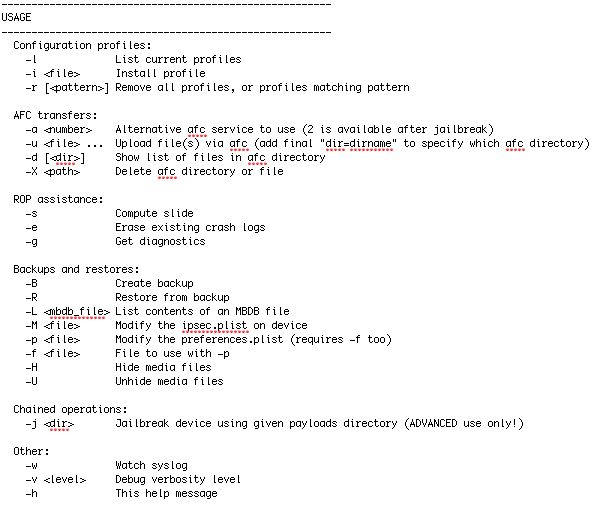 It also makes the "-j" jailbreak option much more functional :) See the README.txt for usage. The command line interface should only be run by advanced users and is primarily for debugging issues with the jailbreak. Most users should wait for the Chronic Dev-Team to release a Windows version of Absinthe. If you want to give the CLI a go, you can download it here. Make sure to read the included readme.txt for usage instructions. To be notified when Absinthe for Windows is available you can follow us on Twitter, Facebook, RSS, or check out the All Jailbreak tutorials page.